While the FMCSA and DOT are jointly responsible for regulating and governing the trucking industry on public roads and highways, another large portion of the trucking industry takes place solely on workplace property. This might include warehouses, air and sea ports, construction sites, and other workplaces that involve the delivery, loading, and unloading of cargo for business purposes. The Occupational Safety and Health Administration (OSHA), which is tasked with overseeing and enforcing workplace safety and health legislation and regulations, oversees nearly all trucking-related activity that occurs on workplace property. Since this area of the trucking industry does not technically occur on public roads, it is not at all governed by the DOT or FMCSA. Many of OSHA’s regulations can be and are preempted by other federal agencies, such as the DOT or FMCSA, even in cases where that agency’s rules and regulations are less strict than those of OSHA. Section 4(b)1 of the OSH Act prevents OSHA from enforcing its regulations if a specific working condition or related issue is regulated by another federal agency. OSHA’s primary focus is preventing workplace injuries and illnesses among all workers, and it therefore sets many standards for trucking companies to follow in order to protect everyone while on the job. Some of these standards include walking surfaces, environmental safety and sanitation, toxic and hazardous materials and substances, protective safety equipment, first aid, handling and storage of all materials, and fire protection. OSHA also sets standards for “special” industries, such as logging and grain storage and handling facilities. 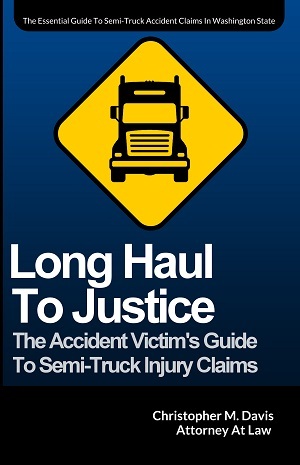 Collectively, the trucking companies, drivers, and anyone involved in the docking or receiving of whichever materials are being transported bear the burden of ensuring a safe and compliant environment for all workers involved in trucking-related activity. For a real-life example, the DOT (and FMCSA) would maintain jurisdiction over all trucking-related activity and working conditions while a semi-truck is driving on public roads (interstates, highways, etc.) en route to a delivery. Once the semi-truck arrives at its destination and the truck driver begins loading or unloading cargo, OSHA’s rules and regulations come into play. OSHA’s regulations apply most often to the loading and unloading of cargo shipments. However, a hazardous materials spill or similar type of accident would be an example of a scenario that would be subject to OSHA’s governance.